Champ Pans by JR Manufacturing have been the choice of professionals since 1982. Pit Stop USA is The Online High Performance Superstore! 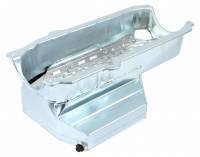 We feature BB Chevy Dry Sump Oil Pans at low everyday prices. Pit Stop USA is The Online Motorsports Superstore! 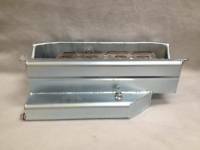 We feature Champ Pans SBC Oil Pans at low everyday prices. Pit Stop USA is The Online Motorsports Superstore! 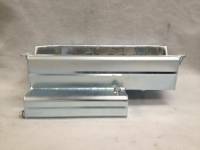 We feature Champ Pans SBC Oil Pump Pickups at low everyday prices. Pit Stop USA is The Online Motorsports Superstore! We feature Floor Mats at low everyday prices. Pit Stop USA is The Online Motorsports Superstore! We feature Oil Dipsticks at low everyday prices. Pit Stop USA is The Online Motorsports Superstore! 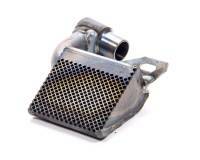 We feature Oil Pan Drain Plugs at low everyday prices. Pit Stop USA is The Online Motorsports Superstore! 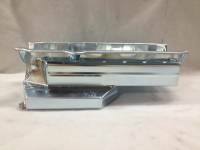 We feature Oil Pans at low everyday prices. Check out the Recently Listed Oil Pump Pickups. 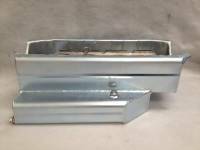 Check out the Recently Listed Windage Trays and Components. Pit Stop USA is The Online Motorsports Superstore! Champ Pans by JR Manufacturing has been the choice of professionals since 1982. Champ Pans is the home of the original louvered tray. 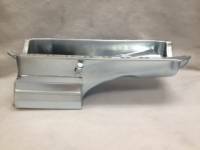 The removable louvered aluminum windage tray has been an integral part of Champ Pans wet sump oiling system since 1986. 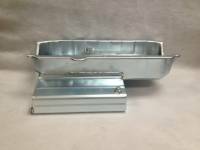 Champ Pans build many different combinations of steel oil pans and aluminum oil pans. 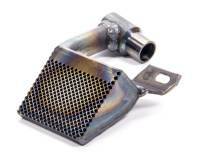 Why settle for less when you can have the best oil pan to unleash your engine's potential and leave your competition in the dust! You can rest assured that the products manufactured by Champ Pans are made of only the highest quality materials, and exhibit unmatched craftsmanship and design. 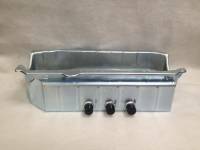 We feature Champ Pans Aluminum Pans, Champ Pans Steel Wet Sump Pans, Champ Pans Steel Dry Sump Pans, Champ Pans Pick Up Tubes, Champ Pans Aluminum Oil Pans, Champ Pans SB Chevy Aluminum Wet Sump Oil Pans, Champ Pans SB Ford Aluminum Wet Sump Oil Pans, Champ Pans SB Chevy Aluminum Dry Sump Oil Pans, Champ Pans Aluminum Dry Sump Oil Pans, Champ Pans Steel Wet Sump Oil Pans, Champ Pans SB Chevy Steel Wet Sump Oil Pans, Champ Pans SB Chevy Oil Pans, Champ Pans SB Ford Oil Pans, Champ Pans SB Chevy Asphalt Oil Pans, Champ Pans SB Chevy Dirt Oil Pans, Champ Pans Circle Track Oil Pans, Champ Pans Road Race Oil Pans, Champ Pans Steel Dry Sump Oil Pans, Champ Pans Circle Track Dry Sump Oil Pans, Champ Pans SB Chevy Dry Sump Oil Pans, Champ Pans SB Ford Dry Sump Oil Pans, Champ Pans Street Stock Oil Pans, Champ Pans Claimer Oil Pans, Champ Pans Competition Series Oil Pans, Champ Pans Universal Dipstick Assembly, Champ Pans Pro Series Dry Sump Oil Pans, Champ Pans Small Block Chevy Oil Pans, Small Block Ford Oil Pan Champ Pans, Oil Pump Pick Ups and Champ Pans Oil Pump Pickup Tubes at low everyday prices.